Owing to rapid increase in their numbers, frequency of drone violations over civilian airspace is surging and likely to become daily occurrences in next 2-3 years as the production and supply of these gadgets double. Influx of illegally purchased drones has increased concerns over their misuse manifold. With increasing number of narrow escapes between airlines and drones recorded worldwide, an accident is just waiting to happen. There has been rapid growth in number of drones in last few years. Today, an estimated 40 million drones are hovering over civilian airspaces, which roughly amounts to about 700-1,000 drones for every aircraft. Most of these, worryingly, are illegal and potentially hold massive risk to national security therefore ramping up concern for airlines and regulators around the world, including India which alone is home to 500,000 drones. It has been observed that many people have been purchasing small-sized drones purely to be used as toys, unaware of the potential dangers they pose to other air traffic and even less of the regulations governing their new gadgets. A few are likely to even deliberately fly their new gadgets near airports to get the same sort of thrill. One of the main causes of worry for India is that a majority of the drones are smuggled or imported from China, which is allegedly fitting these seemingly-harmless gadgets with technology that can be used for spying and can leak sensitive information, thus jeopardising the country's security. 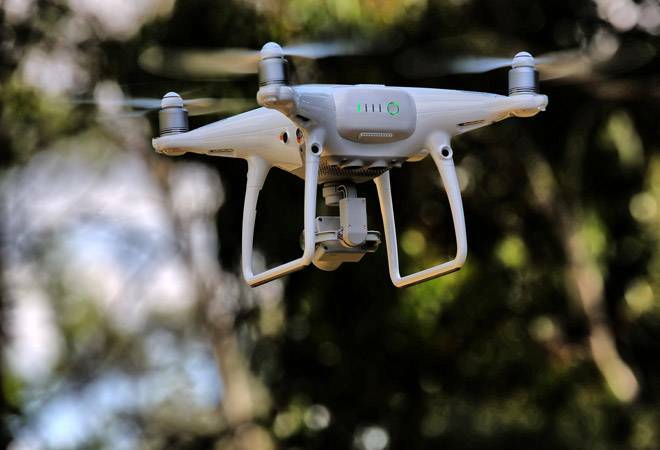 Director General of Civil Aviation (DGCA) directive banning use of drones in October 2014 has caused rise in smuggling of these China-made machines to India. Drones since have become a lucrative business for grey market operators. While over a million drones have been registered their drones under FAA's Drone Registration Program, none of the Indian drones have the license from DGCA's Digital Sky Initiative. This is primarily because they have been illegally purchased without proper paperwork. In addition to the fact that they are not registered, drones cannot be traced on any radar - literally. In such a scenario, it becomes imperative for India to bring in a controlled hardware device to track drones in the country. The "Unmanned Traffic Monitoring Solution (UTM)" will enable the regulators to identify drones on their monitoring system, which will help them segregate the legal and rouge ones. This essentially is an electronic number plate for each drone. The concept is much in line with the country's regulation of road vehicles. This system being established by MORTH to handle a far higher volume of commercial vehicular traffic across India could easily be adapted to offer the existing drone operators in the Indian ecosystem a retrofit solution for their existing assets drones. This would enable them to ply their trade legally, a major incentive to come on board. This would further ensure that national security would be always at the top of the mind of the stakeholders in the civilian drone ecosystem. Drones operate like vehicles, much like automobiles; hence rules and systems applicable to automobiles can be adapted and applied to them. Moreover, a 'geo fence' at the airport and no fly zones will enable regulators to monitor and cancel flights in the event of any threat generated from drones. It should be noted, however, that most drone users in India procured these gadgets to meet specific business requirements, but became victims of ineffective implementation of the DGCA's public notice and fraudulent import/market schemes. Going forward, drones offer a huge commercial potential across a range of industries including agriculture and mining. It is therefore necessary to find a resolution and register the estimated 500,000 illegal drones in the country to explore a whole gamut of opportunities. As a word of caution it has to be realised that drones are not mere toys but smaller versions of their larger cousins we are used to seeing around in the sky. Drones have to be accepted as a dual use technology that has been proliferated by the Chinese hence it is critical for India, a country that shares a huge and at times controversial border with China, should Implement a Fully Made In India solution to control the Drone Airtraffic in India and not accept a Chinese Server based Drone ATC for Drones Operated in India.